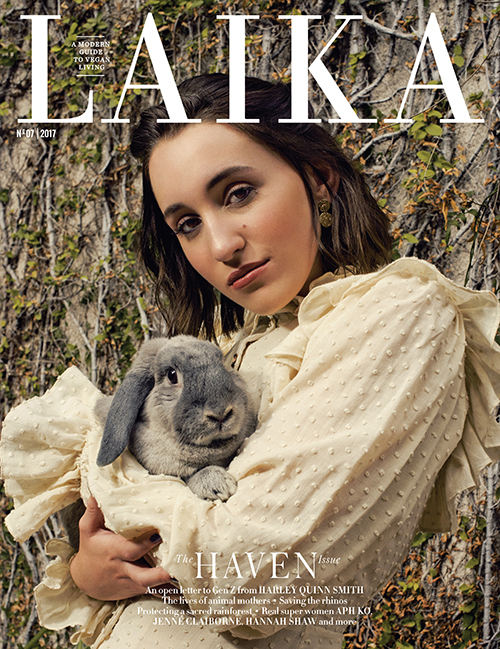 Dear readers, it is with great joy that we bring you LAIKA Magazine’s 7th issue: the Haven Issue. It’s a shelter from turmoil where justice, equality and empathy are firmly upheld. The Haven issue invites you to create a world in which all are safe and valued. 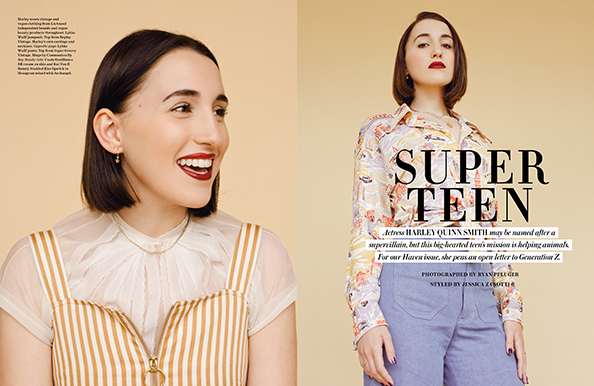 Gracing the cover is vegan actress and passionate animal advocate Harley Quinn Smith, who represents beautifully her generation’s optimism and determination. 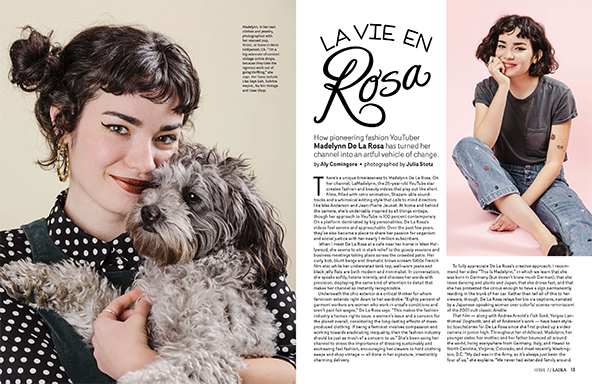 Inside, she shares a heartfelt open letter to Gen Z about the importance of allyship and the urgency of animal rights. Through fearless journalism and unforgettable photography, the Haven Issue disrupts oppression. We underscore the connection between animal liberation and human liberation in stories like “United We Rise,” which features Aph Ko and Sunaura Taylor, among other brilliant voices from the movement. The stunning feature “She Matters” makes evident how essential asserting animals as individuals is to dismantling speciesism, and why this matters so much to feminism. Throughout the issue, we celebrate dynamic vegan women like Jenné Claiborne and Madelynn De La Rosa, who are broadening vibrant spaces of creativity and compassion. We demonstrate the beauty of standing up for the vulnerable in stories about kitten rescuer Hannah Shaw and rhino defender Damian Mander. 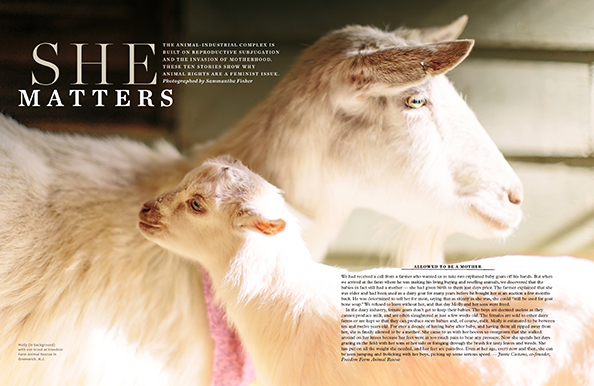 The innocence of animals in the Haven Issue reminds us that on this earth, there is no need to dominate anyone. Life is at its most complete in peaceful co-existence. 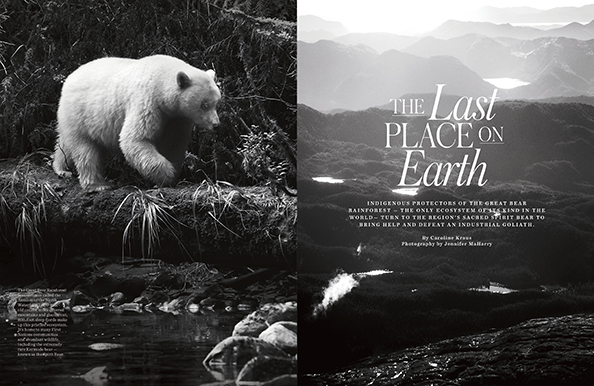 This is wondrously showcased in “The Last Place on Earth,” which tells the incredible story of how the First Nations communities of the Great Bear Rainforest protected their sacred land, its wildlife and our environment from a destructive pipeline. 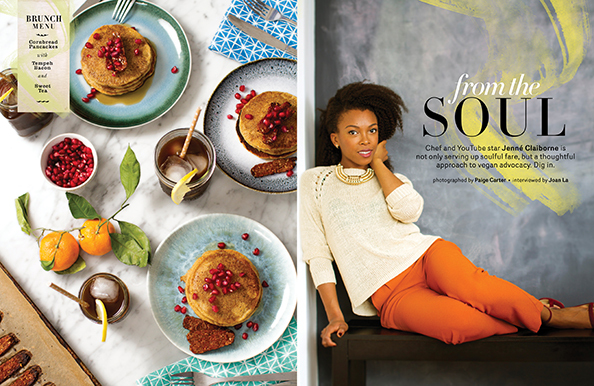 Every page of the Haven Issue is an artistic statement intended to uplift, energize and provoke discourse and action. With gorgeous imagery and resonating storytelling, LAIKA is an uncompromising source of independent media that provides you, our dear reader, with an immersive experience. Order your copy of the Seventh Issue of LAIKA or subscribe today. On the Cover: Photography by Ryan Pfluger; creative direction by Julie Gueraseva; styling by Jessica Zanotti. “She Matters” photographed by Sammantha Fisher. 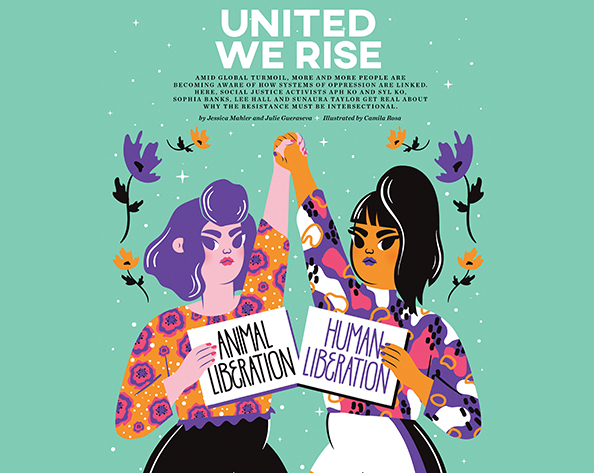 “United We Rise” illustrated by Camila Rosa. “From the Soul” photographed by Paige Carter. “The Last Place on Earth” photographed by Jennifer MaHarry.